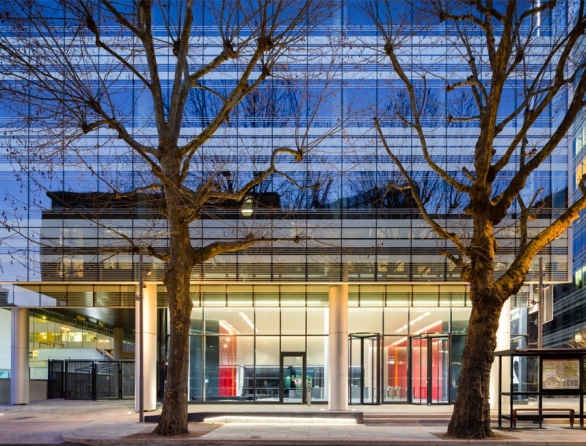 12 Hammersmith Grove is the sister building to 10 Hammersmith Grove and was completed in Spring 2016. FLINT were asked to design a unique reception and lobby which would contrast to the “white box” gallery space of Number 10. 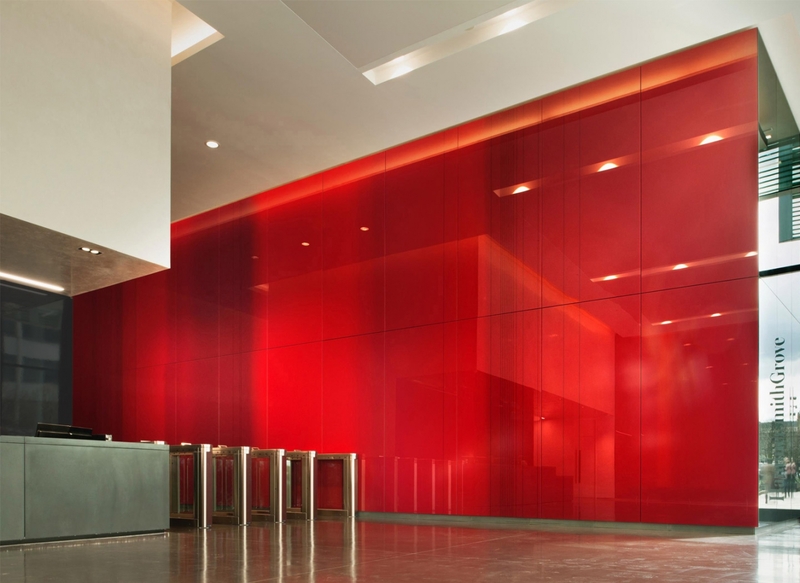 Although similar in volume to Number 10, the finishes to the new entrance would be bold and colourful. 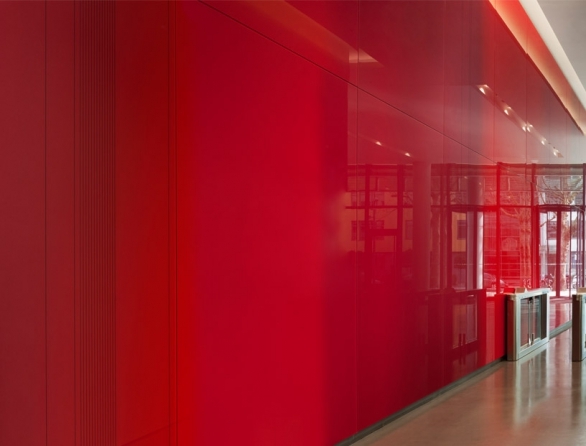 Our response was to define three walls where 5 metre high floor to ceiling colour could best be used to sing out against a monochromatic background of polished plaster walls, polished concrete floor and reception desk. Kate Maestri, the glass artist, was commissioned to develop three wall pieces with a depth and variety of colour not possible in paint alone. 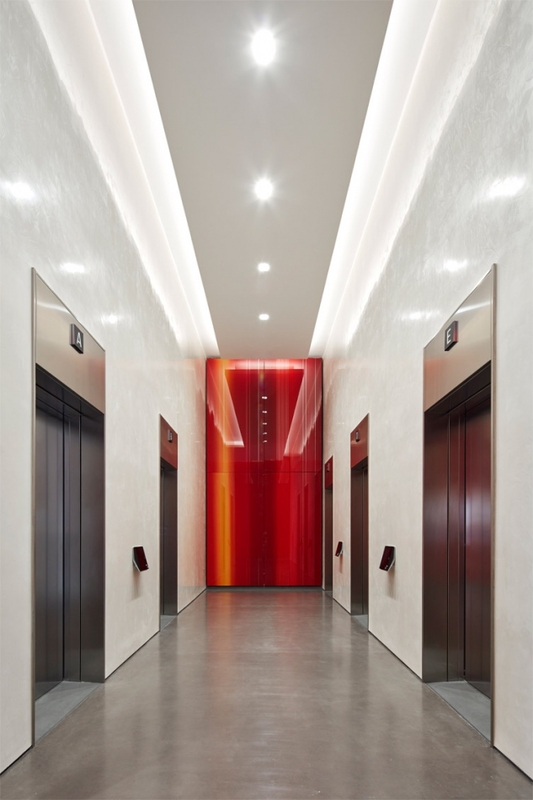 Working closely with Kate and the client, we opted for vibrant, hot colours graded from deep red to yellow and with the addition of subtle mirror pinstripes. The result is a stunning trio of Rothko-like installations. The client also wanted the seating area to be less formal than in Number 10. Our solution was a system of angled benches, upholstered in felt, sitting on an irregularly shaped grey carpet.